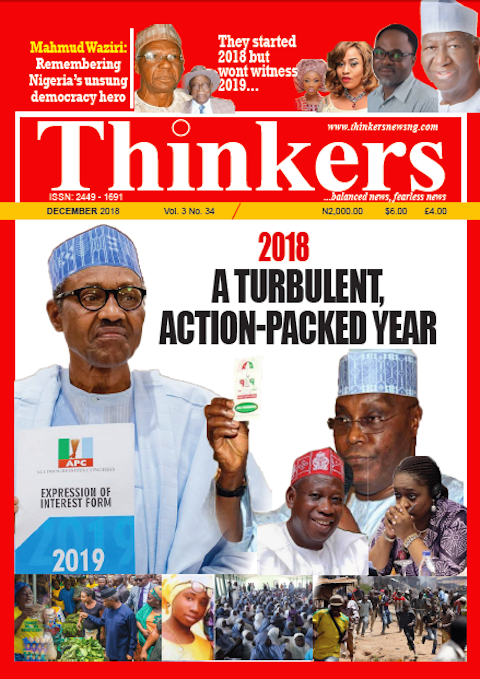 In commemoration of Nigeria’s 57th independence anniversary, the editorial board of Thinkers Magazine has selected a symbolic list of 57 greatest icons who used their words, actions, talent, craft or trade to either contribute in one way or the other to the attainment of sovereignty from British rule or have played a part in making the post-independence life of the nation an interesting one. It is worthy of note however that the greatest Nigerians who deserve this sort of celebration are probably in thousands, if not hundreds of thousands; we have chosen only 57 because this year’s ceremony is the 57th. It was indeed a tug of heated intellectual exchange and disagreements in the boardroom before we could arrive at this list. The list is drawn from different strata of the society; politics and governance, business, entertainment and arts, academia, media, sport, human rights activism etc. 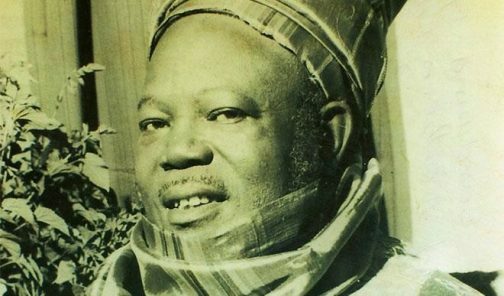 Late Sir Ahmadu Bello, the Sardauana of Sokoto is Nigeria’s foremost nationalist, who played leading role in the pre-independence struggles. 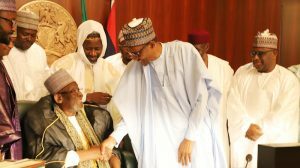 He was the first and only Premier of Northern region whose visionary leadership and outstanding legacy of achievements are evident in New Nigerian Newspapers, Ahmadu Belo University, Zaria and several other national monuments he established. He is a descendant of Uthman dan Fodio, a great grandson of Sultan Muhammed Bello and a grandson of Sultan Atikuna Raba. He was killed in the bloody coup of January 15, 1966. Chief Oyeniyi Jeremiah Obafemi Awolowo, GCFR, was regarded as the most intelligent statesmen of his generation and the best president the country never had. The London-trained lawyer played a leading role in the country’s independence movement and its political evolution, forming the Action Group and Unity Party of Nigeria at different times. 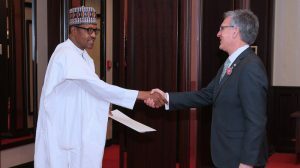 He played a key role in keeping the country one, serving as Federal Commissioner of Finance and Vice Chairman of the Federal Executive Council during the civil war. His legacy is evident in Obafemi Awolowo University, Ile Ife, Liberty Stadium, Ibadan, Cocoa House, Ibadan and WNTV, Ibadan, some of which were the first in Africa. The Ikenne-born statesman died in 1987. 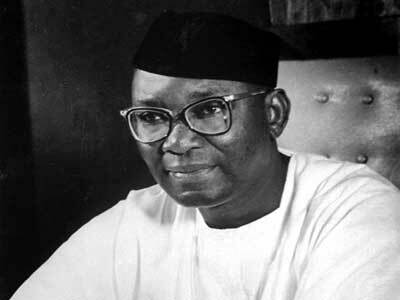 Dr Benjamin Nnamdi Azikwe, the foremost pan Africanist and Zik of Africa carved a niche for himself in journalism, publishing, politics and nationalism. He was the first President of Nigeria whose oratorical prowess held audiences spellbound across the globe. He was born in Zungeru in Niger state to Igbo parents and was educated at the University of Pennsylvania, USA. He died in 1996 as a national hero. Chief Anthony Eromosele Enahaoro, a renowned journalist and activist, famously moved the first motion asking the British to grant Nigeria independence in the then Federal House of Representatives. 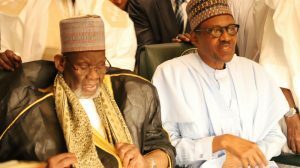 He lived the better part of post-independence Nigeria as a respected elder statesman who demanded quality governance from successive leaders. The Uromi, Edo state indigene was a member of the group of patriots and died a national hero in Benin, in 2010. Sir Abubakar Tafawa Balewa played a key role in the fight for independence as a leader of the Northern People Congress. He was a prince of Lere in present day Bauchi sate who was trained in the University of London. He became the first Prime Minister in 1960 after the NPC won the 1959 polls. He was killed in the bloody coup of January 15, 1966. Chief Moshood Kashimawo Olawale Bashorun Abiola, famously called MKO, rose from extreme poverty to educate himself and later became Africa’s richest business mogul, global statesman, renowned philanthropist, Newspaper Publisher and Pillar of Sport in Nigeria. The Abeokuta, Ogun state born statesman won the annulled Presidential election on June 12, 1993 but insisted on the actualization of his mandate until he died in detention in 1998 as martyr of democracy. 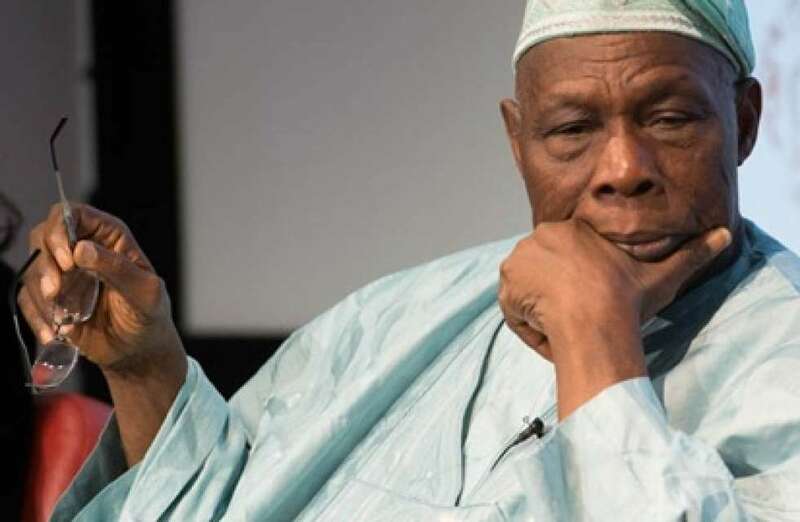 Chief Aremu Mathew Okikiolakan Olusegun Obasanjo, aka Ebora of Owu, is a soldier’s solder and elder statesman who no one can afford to ignore. The former Head of State and ex civilian president, played a key role in keeping the country together during the civil war. He became a global icon of democracy when he famously relinquished power in 1979 to a civilian administration. 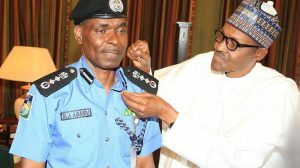 He is up till now seen as one of those few Nigerians who meet to decide the political direction of the country especially when its stability is at stake. 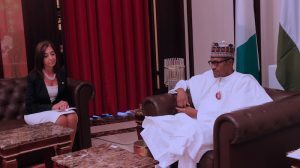 Muhammadu Buhari: President of 57-year-old Independent Nigeria Muhammadu Buhari has had an enviable career in the Nigerian military and illustrious career in politics. He was Federal Commissioner for Petroleum in the 70s who built some of the nation’s refineries; he was military administrator of northeast state, also Borno state and later chairman of Petroleum Trust Fund where he gave a good account of himself. 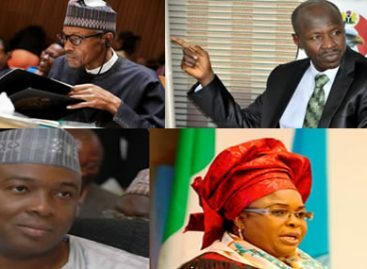 He is also that man of history who is presiding over the country’s affairs during her 57th independence anniversary. 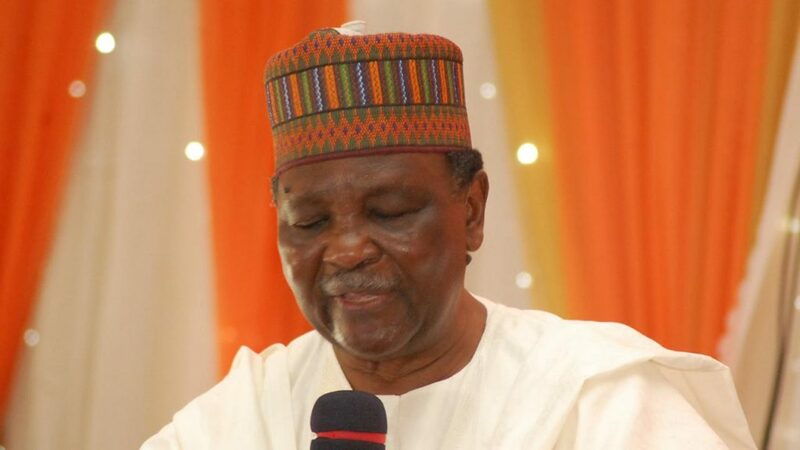 Retired General Yakubu Gowon was the Head of State between 1966 and 1975 who led the Nigerian Army to the battle front to insist on one Nigeria. 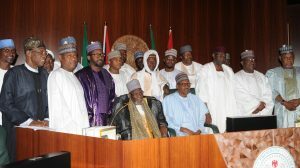 He added icing on the cake by establishing the National Youth service Corps for the purpose of national integration. The Plateau-born statesman is now in his 80s and is still waxing strong. Chief Chukwuemeka Anyaoku is an international statesman. The cerebral, charismatic gentleman was the Secretary-General of the Commonwealth of Nations. 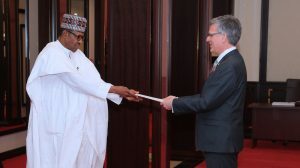 He is a good governance advocate who doesn’t fail to advise leaders in Nigeria and all over the world on how to alleviate the sufferings of their people. The Late Professor Dora Nkem Akunyili, was one of Nigeria’s most celebrated women. She combined charm, with brain, passion, determination and patriotism. 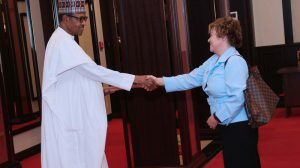 A pharmacist and educationist par excellence, as head of the National Agency for Food Drugs Administration and Control (NAFDAC), she summoned all the resources and power at her disposal to wrestle fake drug peddlers to the ground. She served the country as a delegate in the 2014 National Confab even in her dying days. She succumbed to cancer not long after. Olikoye Ransome Kuti did not only come from a family of legends, he was one of Nigeria’s best exports to the world in the field of medicine and scholarship. As a Minister of Health, he established the Society for Family Health and revolutionized children medicine and family planning in the country. He also served at the highest level in the world Health Organization. Aminu Kano was the foremost, London-trained educationist and revolutionary politician who leaned on socialism. He founded the Peoples Redemption Party and Northern Elements Progressive Union, at different times and sought to lead to Nigeria in 1979. He died in 1983 as a celebrated, selfless statesman. Yusuf Maitama Sule, was a Kano-born charismatic politician, diplomat and statesman who played a prominent role in the political evolution of the country especially in the first and second republics. He was a minister in the second republic and Permanent Representative to the United Nations in the first republic. He died in 2017. 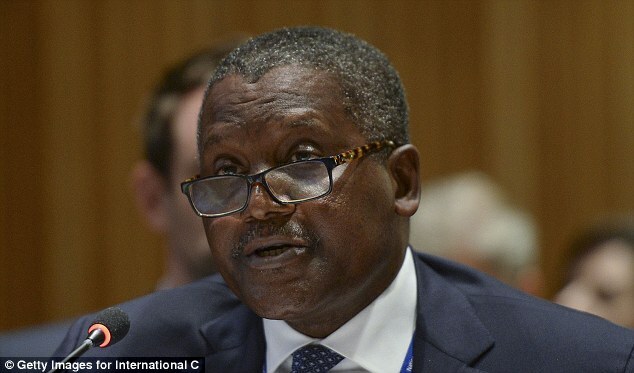 Aliko Dangote, GCON, is Africa’s richest person, 67th richest in the world and the CEO of Dangote Group which has interests in commodities in Nigeria and other African countries, including Benin, Ethiopia, Senegal, Cameroon, Ghana, South Africa, Togo, Tanzania, and Zambia. As of February 2017, he had an estimated net worth of US$12.5 billion. Agbani Asenite Darego, is a super model and beauty queen, best known as the first native African to win the prestigious Miss World title. Darego’s family roots are in Abonnema, Rivers State. She was born in 1982 in Lagos to a family of eight children. 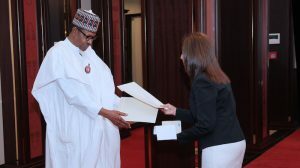 She studied Computer Science and Mathematics at the University of Port Harcourt. Professor Ben Nwabueze is a world class legal luminary and teacher whose greatness in constitutional law reverberates all over Africa. He was educated at the University of London and has for decades taught constitutional law at the highest level in the best universities in the world. The Anambra-born elder statesman has also written several books and papers and has played prominent roles in virtually all Nigerian constitutional conferences. He is also the first academic lawyer to be made a Senior Advocate of Nigeria (SAN) in 1978, strictly on the basis of his published works. The Late Honourable Justice Chukwudifu Akunne Oputa was arguably the most respected member of the Nigerian bench due to his integrity, deep knowledge of law, philosophical approach, no-nonsense attitude and brave, legal pronouncements. He was nicknamed by most colleagues as the ‘The Socrates of the Supreme Court’. 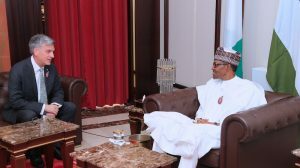 He headed the panel set up by the administration of President Olusegun Obasanjo to address cases of human rights abuses by successive military governments. He is the father of popular entertainer and activist, Charles Oputa, aka Charly Boy. Late Chief Kayode Eso, CON, CFR, was a prominent Jurist and Justice of the Supreme Court. Born on September 18, 1925 at Ilesa, in Osun State, he attended Trinity College, Dublin where he obtained a bachelor’s and master’s degrees in Law with a specialization in Legal science in 1953 and 1956 respectively. He was renowned for his fearlessness and uprightness on the bench. He died on November 16, 2012. Chief Abdul-Ganiyu Oyesola Fawehinmi, is a respected publisher, philanthropist, social critic, seasoned human and civil rights lawyer, politician, Senior Advocate of Nigeria (SAN) and most importantly a Senior Advocate of the Masses (SAM). 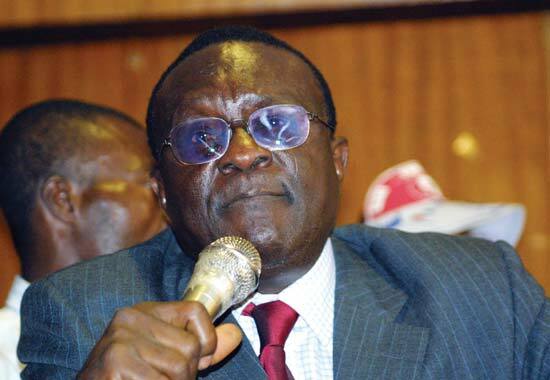 With his activism, Gani was a champion of the masses and nightmare of successive military dictators and civilian rulers. He founded the Nigerian Weekly Law Reports and was regarded as the greatest lawyer and human rights advocate Nigeria ever produced. He died on the 5th of September, 2009. Aloma Mariam Mukhtar, GCON, has achieved so many firsts in the course of her illustrious career on the Bench. She is the first female lawyer from Northern Nigeria, first female judge of the High Court in Kano State judiciary, the first female justice of the Court of Appeal of, the first female justice of the Supreme Court and the first female Chief Justice of Nigeria. The Late Yusufu Bala Usman was one of the scholars who shaped Nigerian historiography. 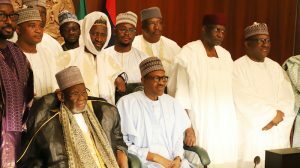 Usman was the founder of the Centre for Democratic Development, Research and Training at Ahmadu Bello University, Zaria, where he taught for decades and became an institution on his own. 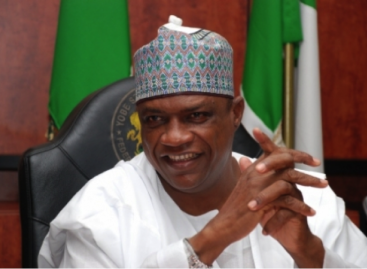 He was the father of the current Managing Director of the Nigeria Ports Authority (NPA), Adiza Bala Usman. He died on September 24, 2005 and the age of 60. 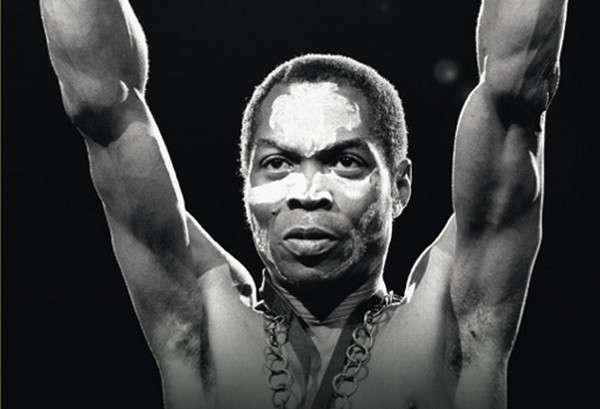 Fela Anikulapo Kuti, is arguably the most celebrated musician from the African continent. He was famous for his strange lifestyle – earning the tag of Abami Eda (Mysterious creature) -, singing and dancing dexterity and lyrics that were deep in socio-political activism, the celebration of African culture and religion as well as philosophy. He has been called a prophet for singing about some of the nation’s ills which have now become worse today. Fela died in Lagos on August 2nd, 1997 but the greatness which he used in entertaining audiences all over the world has outlived him in significance and relevance. 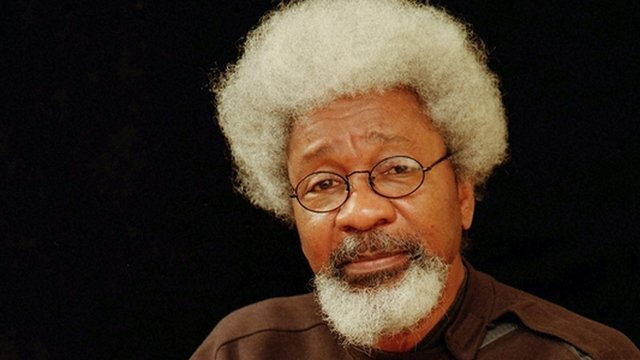 Professor Oluwole Babatnde, Akinwande Soyinka is arguably Nigeria’s most iconic figure known all over the world for his writing, scholarship, common sense advocacy and for being the first black man to win the prestigious Nobel Prize for Literature in 1986. His most popular works include Kongi’s Harvest, Ake Days, The Man died, The Lion and he Jewel, Trials of Brother Jero, Abiku, King Baabu, Death and the King’s Horseman etc. 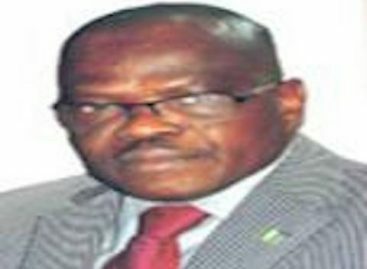 The erudite professor hails from Abeokuta in Ogun state. 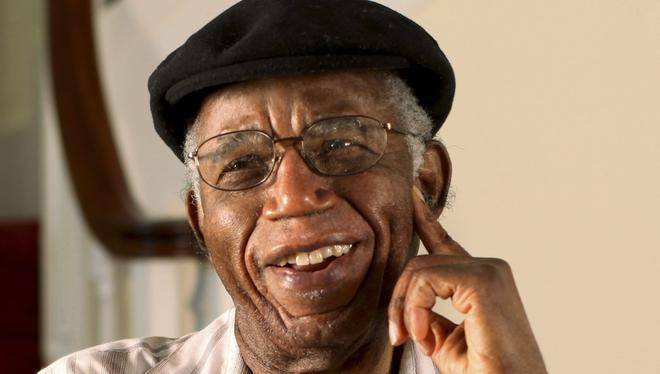 The Late Albert Chinụalụmọgụ Achebe was a celebrated novelist, poet, professor, and critic. His first novel Things Fall Apart (1958), often considered his best, is the most widely read book in modern African literature. He won the Man Booker International Prize in 2007. His most popular works include Things Fall Apart, No Longer at Ease, Arrow of God, A Man of the People, Anthills of the Savannah, The Trouble With Nigeria, Chike and The River and There was A Country. He died on the 21 March, 2013. Chimamanda Ngozi Adichie is a celebrated novelist whose narrative style has been said to be similar to that of late iconic writer, Chinua Achebe. With her parents who worked at the University of Nigeria, Nsukka, Chima grew up in the same apartment which Achebe had lived while he also taught at the school several years back. 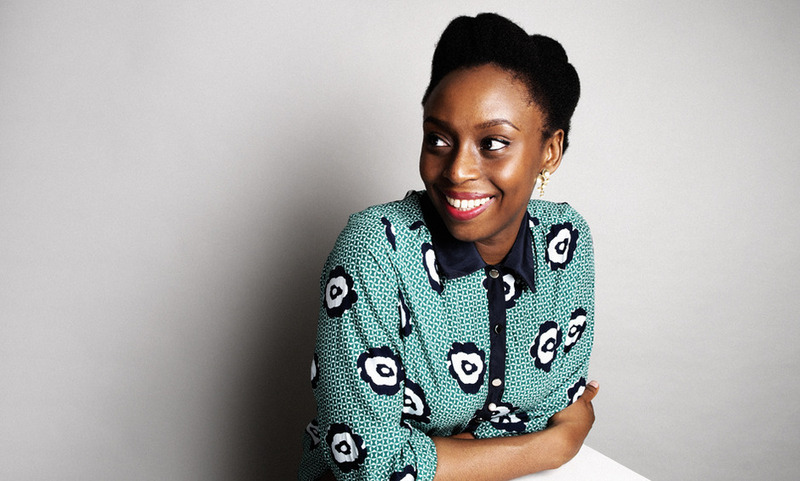 The multiple award winning author wrote Purple Hibiscus, Half of Yellow Sun, The Thing Around Your Neck and Americanah. The late Cyprian Ekwensi was a trained pharmacist who chose literature as a career and exceled in it with distinction. He exceled especially in short stories and children novels. He greatest works were Jagua Nana, Passport of Mallam Ilia, Africa Night of Entertainment, Trouble in Form Six etc. 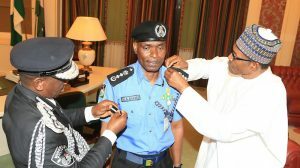 He was born in Niger state to parents from Anambra state. The National Centre for Art and Culture in Abuja was named after him. Akindele Olufunke Ayotunde aka Jenifa Omo Ghetto is one of the most versatile actors in Nollywood. She has become a household name in recent years due to her brilliance and unique style of acting. The 41-year old has over a 100 movies to her credit as actress, writer and producer. She is prominent in the Yoruba and English speaking sections of the movie industry. Oludotun Baiyewu Jacobs is an actor par excellence renowned for delivering role of a king or no-nonsense affluent man. In 2007, he won the African Movie Academy Award for Best Actor in a Lead Role and in 2013, he won the Africa Magic Industry Merit Award. Born on 11 July 1942, the Ogun state indigene is married to another famous thespian, Joke Silva. Atunyota Alleluya Akpobome aka Ali Baba, an indigene of Delta who grew up in Lagos is an iconic comedian who is reputed to have blazed the trail of stand-up comedy in Nigeria and also trained/mentored successive generations of comedians. Its credit to Ali Baba that stand-up comedy is now a respected profession in the country. Omotola Jalade-Ekeinde has appeared in over 300 films. She is the first African celebrity to receive over 1 million likes on her Facebook page. She currently has a total of 3 million followers on Facebook. Born on the 7th of February, 1978, Omotola is one of the pioneers of the video film era of Nigerian cinema, becoming the most watched actress in Africa. In 2013, she was honoured in Time magazines list of the 100 most influential persons. Patience Ozokwor won the Best Supporting Actress award at the 10th Africa Movie Academy Awards. 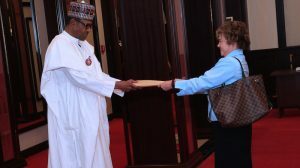 She was among the 100 Nigerians honored by the government to celebrate the amalgamation of the northern and southern protectorates in 1914. Born on March 25th, 1958, the veteran thespian is respected for her brilliant and passionate interpretation of the role of bad wife or wicked mother-in-law in movies. Pete Edochie, MON, is considered one of Africa’s most talented actors, being honoured with an Industry Merit Award by MultiChoice and by Africa Film Academy. Born on the 7th March 1947, he played the lead role of Okonkwo in an NTA adaptation of Chinua Achebe’s all-time bestselling novel, Things Fall Apart. Sikiru Ololade Ayinde Balogun, MFR, aka Ayinde Barrister was a singer-songwriter and music performer. Born on February 9, 1948 in Ibadan, Oyo state he is regarded as one of the pioneers and revolutioneers of Fuji and Wéré music. After his first break into music in 1965, Ayinde Barrister went on to release over 70 studio albums. He was educated at Yaba Polytechnic in Lagos, and left the Nigerian Army to go into full-time music. He also mentored and trained another Fuji music icon, Wasiu Ayinde. He died on December 16, 2010. Olasunkanmi Wasiu Ayinde Marshal, aka K1 De Ultimate, is a Fuji music legend known for introducing the genre to the sounds of keyboards, saxophones and guitars. While his late mentor and teacher, Sikiru Ayinde Barrister, is credited with creating Fuji music, Wasiu is reputed for taking the genre to the entire globe, away from the Yoruba land where it originated. That’s why many non-Yoruba speaking tribes in northern Nigera are fans of the widely travelled icon. Akintade Ogidan, is a Film and Television Screenwriter, Producer and Director who rose to a senior position as a staff of the Nigerian Television Authority. He is credited to be behind virtually all the world class movies churned out in Nigeria in the last three decades across the Yoruba and English-speaking sections of the film industry. He wrote, produced and directed hit movies like Hostages, Owo Blow, Diamond Ring, Out Of Bounds, Raging Storm, 7 – 12, Playing Games, Saving Alero, Dangerous Twins, Madam Dearest, Ayo Mi Da and Family On Fire, most of which are multiple award-winners in and outside Nigeria. Olufela Olufemi Anikulapo Kuti is not just the eldest child of Afro-beat legend, Fela Anikulapo Kuti, and a grandchild of renowned activist, Funmilayo Ransome Kuti, he has carved a niche for himself as a globally-recognized musician, being nominated for Grammy Awards four times in the world music category in 2003, 2010, 2012 and 2013. Born on 16 June 1962 in London, Femi’s musical career started when he began playing in his father’s band, Egypt 80. In 1986, Femi started his own band, Positive Force. Sunday Adeniyi Adegeye, MFR, aka King Sunny Ade , is an ageless singer-songwriter, multi-instrumentalist, and a pioneer of modern world music, who has remained powerful and influential over the decades across generations. He celebrated 70 years of age and 50 years on stage recently and still has fans across the globe. 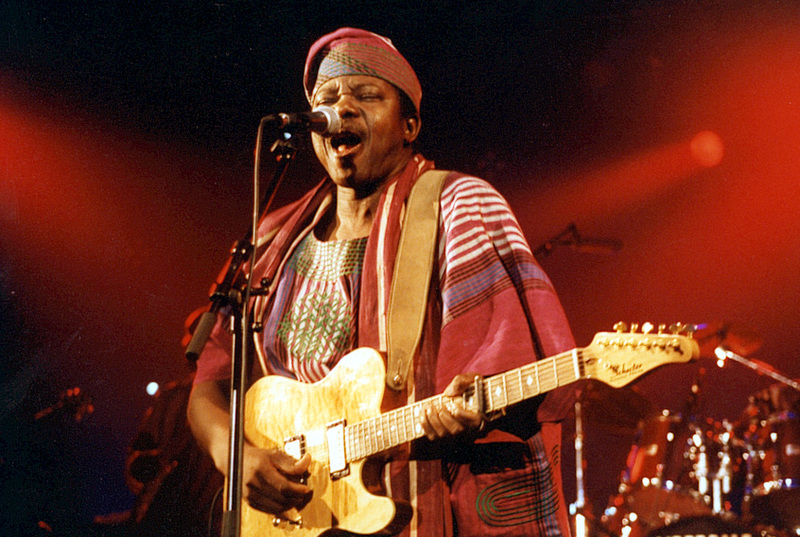 Sunny Adé was born in Osogbo to a Nigerian royal family from Ondo. He was the first Nigerian artist to be nominated for Grammy Awards in 1983. Oloye Hubert Adedeji Ogunde was a renowned actor, playwright, theatre manager, and musician who founded the African Music Research Party in 1945, the first contemporary professional theatrical company in Nigeria. He has been described as “the father of Nigerian theatre, or the father of contemporary Yoruba theatre” who ran a formidable travelling theatre group with his ten wives and many children. He produced Ija Ominira and Ajani Ogun, two pioneer Yoruba feature-length films. He also co-produced the first celluloid film in Nigeria, Aiye, in 1979. He released three more – Jaiyesimi, Aropin N’tenia and Ayanmo – which were feature-length films influenced by Yoruba mysticism. Adamu Wayya aka Dan Maraya Jos, was a renowned Hausa Griot best known for playing the kontigi. Like most professional musicians, the mainstay of Dan Maraya’s repertoire is praise singing, but Dan Maraya singles out his personal heroes rather than the rich and famous. During the Civil War, he composed numerous songs in praise of soldiers of the federal army. 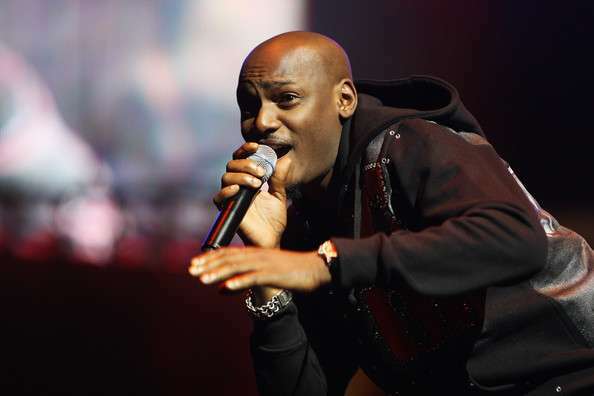 Innocent Tuface Idibia is a globally-acclaimed singer, philanthropist and good governance advocate from the Idoma speaking part of Benue state. Since hitting the limelight with his Plantation Boys group some decades back, he has managed to remain relevant across several generations of Hip Hop and R&B singers and even mentored a number of them. The 42-year-old songwriter is married to another celebrity, a Nollywood star, Annie Idibia (nee Macaulay). Sadiq Abubakar Daba has had an illustrious career as an actor and as a broadcaster who worked in the Nigerian Television Authority (NTA). 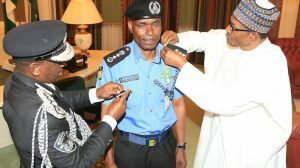 In 2015, he won the Africa Movie Academy Award for his role as ‘Inspector Waziri’ in Kunle Afolayan’s ‘October 1st’. The Late Sumonu Oladele “Baines” Giwa was a great journalist and editor who was killed by a letter bomb in 1986 allegedly by authorities who were not comfortable with his principled stance and investigative stories which exposed their illicit activities. Alongside Yakubu Muhammed, Ray Ekpu and Dan Agbese, he founded Newswatch Magazine. The Late Funmilayo Ransome Kuti, was one of Nigeria’s most iconic women, known for pioneering social activism and women rights advocacy in the country. She was the Mother of Fela, Beko and Olikoye, three outstanding Nigerians. 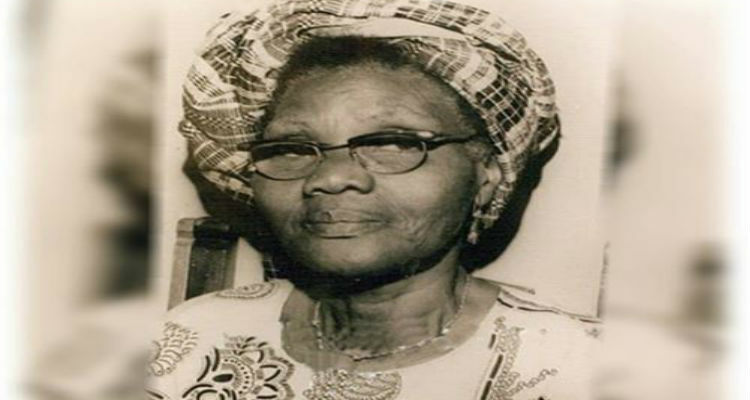 She was also the wife of Reverend Israel Oludotun Ransome-Kuti, a renowned educationist and pioneer leader of the Nigerian Union of Teachers (NUT). The Late Hajiya Gambo Sawaba was the brave activist and philanthropist who championed the cause of women and the oppressed in Northern Nigeria. Mentored and inspired by Funmilayo Ransome Kuti (whom she later traveled to Abeokuta to see), Hajiya Gambo campaigned for girl child education and spoke against child marriages in the north and this drew her nationwide acclaim. Taiwo Akinkunmi, OFR, a retired civil servant who is celebrated for designing the Nigerian flag. He entered the competition for the design of the flag in 1958 and his beautiful design of Green, White and Green was chosen and he has since been a national hero. Segun Moses Toriola is an icon of Table Tennis in Nigeria and Africa. 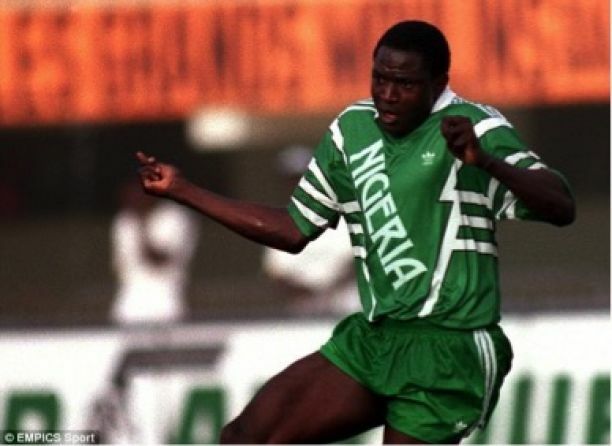 Born on the 18th September 1974 in Ilorin, Kwara, He has represented Nigeria at seven Summer Olympics debuting at Barcelona, 1992, the highest by any Nigerian sportsman. He has won Gold medals in the Commonwealth Games and in several other African and global events. The late Rashidi Yekini won the African Footballer of the Year in 1993, the first Nigerian to be so honoured. He was part of the team that participated in the 1994 World Cup which also won the African Cup of Nations in Tunisia. He netted Nigeria’s first-ever goal in a World Cup, in a 3–0 win against Bulgaria, his celebration after scoring, crying while holding the goal’s net, became one of the iconic images of the tournament and the 1998 FIFA World Cup. 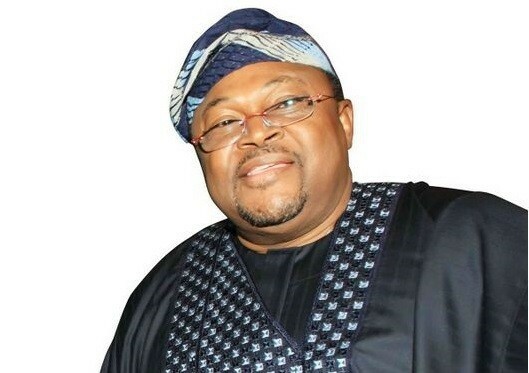 He died in Ibadan on 4 May 2012 at the age of 48. Mary Onyali-Omagbemi is a legendary former sprinter, who won the bronze medal in the 4 × 100 m relay at the 1992 Olympic Games and in the 200m at the 1996 Olympic Games. She also won the 1994 Commonwealth Games 100 metres title. Her consecutive Olympic appearances from 1988 to 2004 made her the first Nigerian to compete at five Olympics, before the record was broken by Table Tennis legend, SegunToriola. Falilat Ogunkoya, is an expert of the tracks. The Ogun-state born athlete won a bronze medal in the 400m race at the 1996 Atlanta Olympics, behind Marie-José Pérec of France and Cathy Freeman of Australia. She won several other medals in African and global competitions. The Late Stephen Okechukwu Keshi was a legendary player and coach who earned 60 caps for the Super Eagles. Born on the 23rd January 1962 to parents from the Igbo speaking part of Delta state, Keshi captained the Super Eagles to victory in the African Cup of Nations in Tunisia 1994 and coached them to the same triumph in South Africa in 2013, becoming only the second person to win the trophy both as a player and as a coach. He died on 7th of June, 2016 after a brief illness. Chioma Ajunwa-Opara, MON, is the first and only Nigerian athlete to win an individual Olympic gold medal which she did at the 1996 Games in Atlanta. She also became the first black African woman to win an Olympic gold medal in a field event. 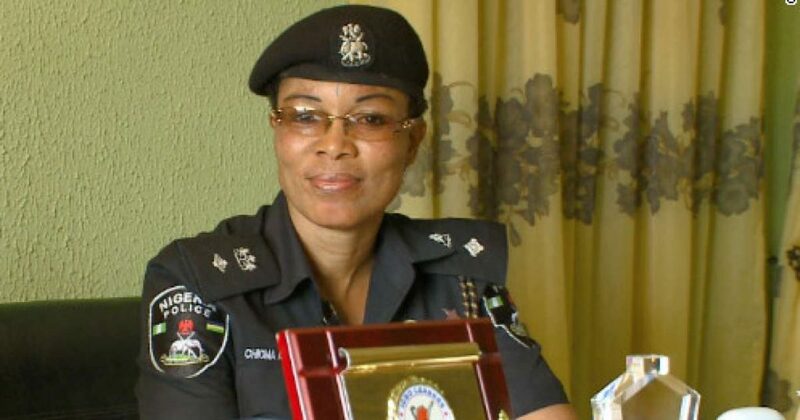 Ajunwa is also an officer with the Nigerian Police Force. Born on 25 December 1970, Ajunwa performed as a track and field athlete and specialized in the 100m, 200m and long jump and has won several other laurels in international competitions. 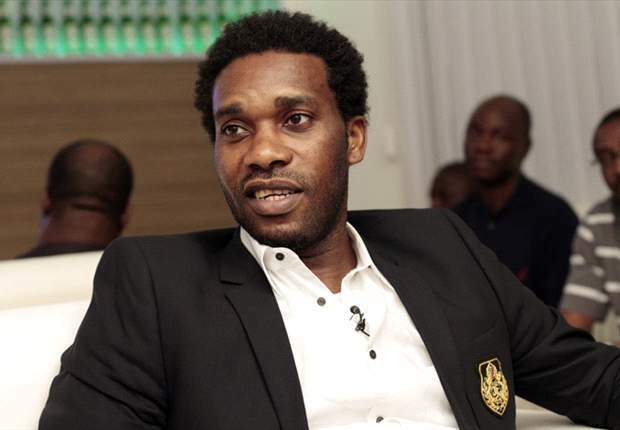 Augustine Azuka “Jay-Jay” Okocha was so skillful that fans of English Premiership side, Bolton Wanderers, which he once played for, often sang “he was so good that they named him twice” in reference to his nickname “Jay Jay”. He was named one of the top 125 living footballers by Pelé in 2004. He also won the inaugural BBC African Footballer of the Year award and retained it the following year. The iconic superstar played in several World Cups and Cup of Nations with the national team, winning the latter in Tunisia 94 and the Atlanta 96 Olympic Gold Medal with the U-23 side. 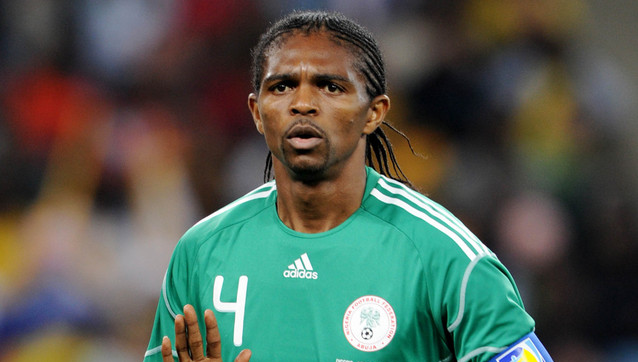 Nwankwo Kanu, OON, is a legendary ex-international who captained the Dream Team to the Gold Medal triumph in Atlanta 96 Olympics. He is Nigeria’s most decorated sportsman with an amazing collection of almost all individual and team laurels. The Owerri-born lanky forward won a UEFA Champions League, the UEFA Cup, three FA Cups and two African Player of the Year awards amongst others, in the course of is highly successful playing career. He is also a UNICEF Goodwill Ambassador and renowned philanthropist who use his Kanu Heart Foundation to help African children overcome heart ailments, having recovered from a major heart problem himself before resuming soccer. Patrick Olusegun Odegbami is nicknamed Mathematical for his precise style of play. He was famous for running down the touchline with the ball to prevent opponents from getting it. Born on August 27, 1952, Odegbami was brought up in Jos, by his parents who hail from Ogun state. He won 46 caps and scored 23 goals for the National Team, and guided Nigeria to its first Africa Cup of Nations title at the 1980 tournament. Emmanuel Amunike featured prominently at the USA 1994 World Cup and won the Tunisia 94 Africa Cup of Nations, scoring the two goals in the final against Zambia. Amunike also won the 1994 African Footballer of the Year award. He scored the winning goal in the Atlanta 96 football event final as the Dream Team won the gold medal. Victor Nosa Ikpeba is an ex-international striker who earned the nickname of ‘Prince of Monaco’ while playing for Monaco in France. Born on the 12th June 1973, Ikpeba played at the FIFA World Cups in 1994 and 1998. He helped win the 1994 African Nations Cup and the Olympic football gold medal in 1996. He also won the African Footballer of year in 1996.